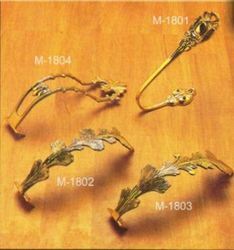 M1801 - Peacock embrace - 12"
M1802 - Leaf stem embrace - 8.5"
M1803 - Leaf stem embrace - 9"
M1804 - Garland embrace - 9"
We offer curtain fittings, which are made of high quality brass and black iron. These can be customized on the parameters of choice of metal, designs and sizes. Classy yet durable, our range is offered at very competitive price to our clients across the globe. 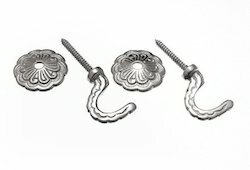 As a quality focused firm, we are engaged in offering a high-quality range of MS Curtain Bracket.